This is the original 1878 boyhood home of Senator Henry Fountain Ashurst. 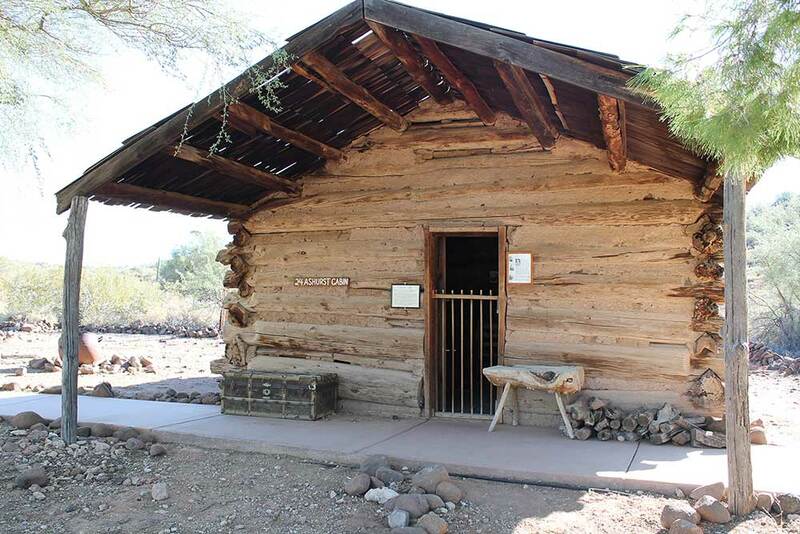 Henry Ashurst was Arizona’s first senator. 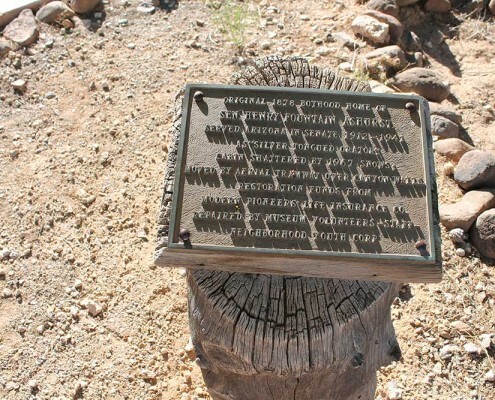 He gained national fame as the “Silver-tongued Orator of Congress.” Born in Winnemucca, Nevada, the future senator came to Arizona at the age of four, where the family temporarily settled near modern Williams. 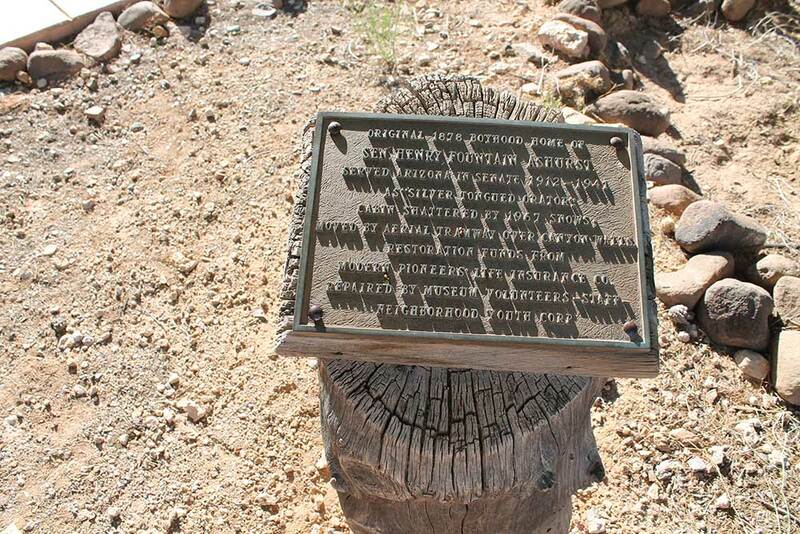 The family lived one mile east of Ashurst Lake in a box canyon. 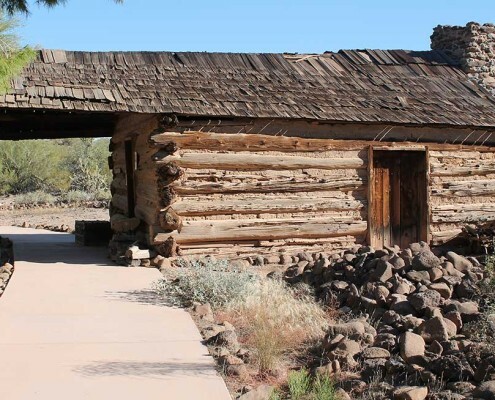 Prescott was 100 miles and two mountain ranges away and there were no neighbors within 30 miles. The father was a wild horse trapper and sheep rancher and was gone much of the time. Mrs. Ashurst gave birth to two children there, and one of her daughters died of pneumonia. Cooking was done in the fireplace or, in the summer, over a campfire outside. The family lived there until 1893. 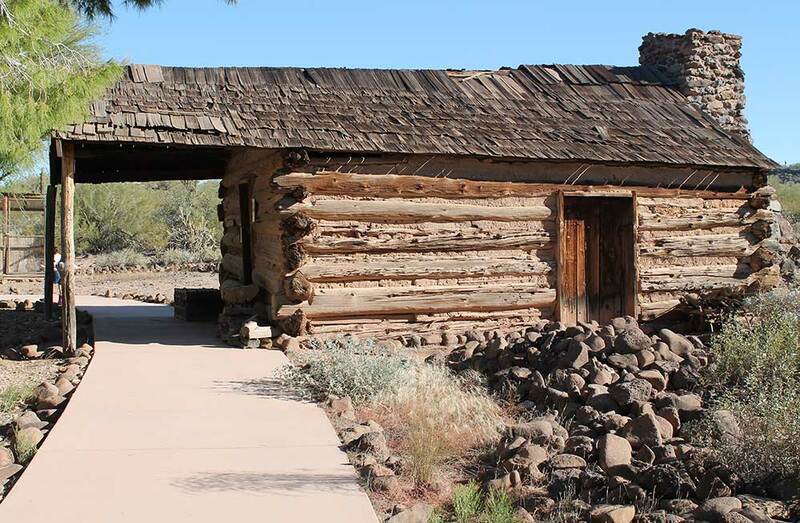 The Ashurst cabin was moved, piece by piece, from a box canyon at Ashurst Springs on Anderson Mesa via a 200-foot steel cable tramway which the museum built for the purpose of rescuing the cabin from ruin. The winter before its removal, heavy snows had snapped several of the ceiling beams, and the cabin was close to total destruction. The fireplace was lifted out by a litter and rigging. 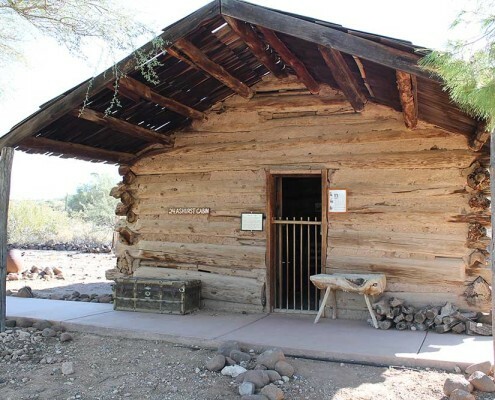 The building was donated by the Babbitt Land and Cattle Company to Pioneer Arizona in October of 1968. 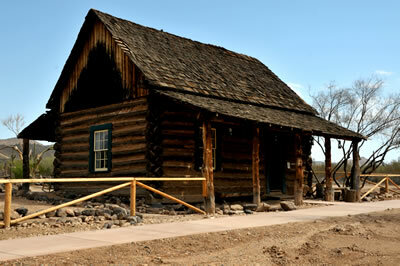 Modern Pioneers’ Life Insurance Co. donated the funds for the restoration. “A woman on the frontier meets many hardships. The isolation, loneliness, physical exertion and ceaseless toil soon seam the woman’s face with furrows of sorrow. 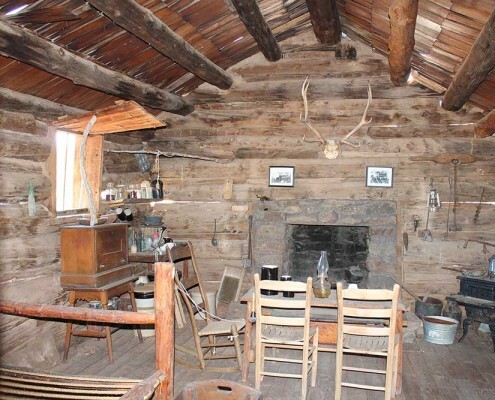 In our early ranch life, until we got the stove, all our meals were cooked by mother at a campfire or fireplace, with primitive utensils. Mother made all garments for the entire household, cured the meats, worked in the garden, and made candles, rugs, straw hats, and moccasins. “There were crevices in the hillside where my Father hid our supplies when the Indians galloped along on the war-path, burning and murdering as they went on their raids. Where my Mother hid my sister Eva and myself and my brother Billy as the savages passed by on that dreadful day when even the mysterious power of hope lost its sustaining influence.” May 10, 1919. Up In Coconino County, pages from the Journal of The Honorable Henry Fountain Ashurst, (b. 1874, d. 1962), U.S. Senator from Arizona, 1912-1941: Saturday, May 40, 1919. 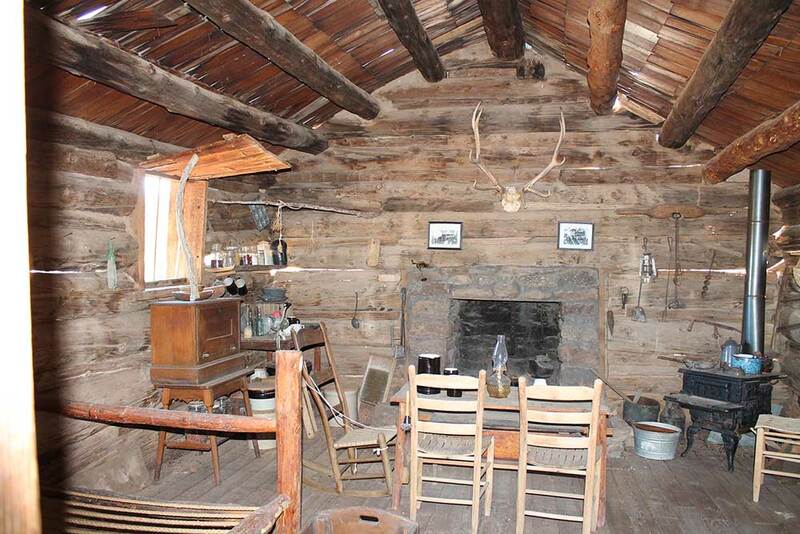 “The family lived on this ranch every summer from 1878 to 1890 and from 1878 to 1883 we wintered there.